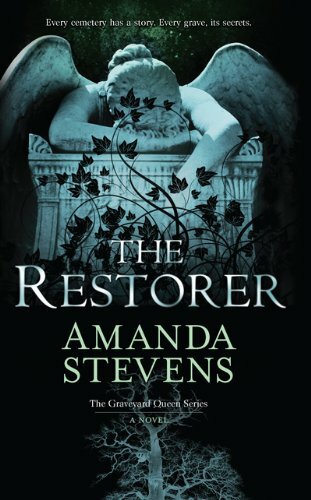 Amanda Stevens’ book The Restorer (in stores now!) is the first installment in The Graveyard Queen series and so absolutely spectacular, I had to stalk her hunt her down on Facebook, Twitter and any other social media platform she may be using just so I could rave to her about how much I liked it. My chant was similar to “I love your book I love your book I love your book!” And it is certainly a 5-star read I would recommend to anyone who enjoys mystery, romance and the paranormal. It hit all the sweet spots and left me wanting more. So I begged, pleaded, and threw myself at her virtual feet politely asked Ms. Stevens if she could take a quick minute to let me interview her and she said yes! But before we go on, make sure you read my review and check out the trailer for The Restorer below: TBBB: What inspired you to write The Restorer? Are there any parallels you draw from your real life or the lives of anyone you know? Amanda: I wish I could say the idea was inspired by some life-changing supernatural event or even a dream, but truth be told, I Googled unusual jobs and up popped cemetery restorer. I knew immediately it was the perfect setup for the kind of stories I like to write—dark, lush and Gothic. And Southern, of course, because we do love our graveyards down here. TBBB: Who inspired Devlin in The Restorer? Are there any characters or people you modeled him after? Amanda: Devlin is my modern take on all those dark, brooding, Gothic heroes from the classics. He came about because I wanted a doomed love scenario in this series. Amelia is a woman who sees ghosts and Devlin is a man haunted by his past. To everyone else, he appears to be wasting away from guilt and grief, but Amelia knows he’s being sucked dry by ghosts that he can’t—or won’t—release. And to warn him would be to put herself at risk. TBBB: Do you believe in ghosts? Amanda: Let me put it this way—I don’t not believe in them. I’ve never personally had anything more than the most benign paranormal experiences, but I have a friend who has some pretty hair-raising stories from her childhood. TBBB: Which character in your book do you most identify with in The Restorer? Amanda: Amelia. Since the story is told in first person, a little of me creeps into her character from time to time. TBBB: If The Restorer were to be optioned for a movie, who would you like to see play each character? Amanda: I hesitate to answer because I may pick someone that’s a real turnoff to others, but…I’ve always thought that Amanda Seyfried has a sort of otherworldly quality about her that I see in Amelia. Devlin is harder. 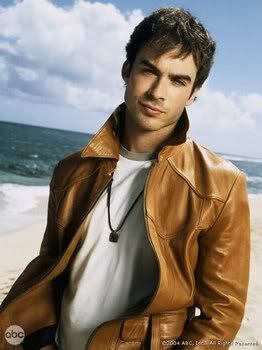 I don’t think he’s a perfect fit, but Ian Somerhalder is darkly handsome and brooding. He could work. TBBB: I think we often forget that authors are readers, too. What book are you currently reading and can you give us two lines from it? Amanda: I just started The Cypress House by Michael Koryta. Here’s how the book starts: “They’d been on the train for nine hours before Arlen Wagner saw the first of the dead men. To that point, it had been a hell of a nice ride.” TBBB: If you could hang out with one of your characters in The Restorer, who would it be, why did you choose that particular person and what would you do? Amanda: It would definitely be Dr. Rupert Shaw because I modeled him after Donald Sutherland and how cool would it be to hang with Donald Sutherland?! We’d probably just go out and have a drink or two. Or three. Maybe attend a séance. 🙂 TBBB: What’s the hardest part of the creative process for you? Amanda: Discipline. Sitting in front of the computer and grinding out the pages. Ideas are easy, but the actual writing of the book is kind of torture. TBBB: You’re given the option to pick 5 songs for the soundtrack for The Restorer; what are they, which scenes do they belong to, and why? Amanda: I love this question because I actually do create soundtracks for each book. This Mortal Coil—“Song of the Siren”—Devlin visits Shani’s grave The song is eerie, haunting and timeless. http://www.youtube.com/watch?v=4mUmdR69nbM Mazzy Star—“Fade into You”—Devlin and Amelia alone in her office. http://www.youtube.com/watch?v=ImKY6TZEyrI Plaintive and hypnotic–one of the most romantic songs ever. The Ravonettes—“Apparitions”—Amelia follows Devlin to his house. http://www.youtube.com/watch?v=Z8msLiXZgJk Morose and Gothic—an invitation to the dark side. Massive Attack—“Angel”—Amelia dreams about Shani’s ghost in the tunnels. http://www.youtube.com/watch?v=LQ-0nUMHlzk Brooding, moody, and rather schizophrenic. Builds to an awesome climax. Royksopp—“Across the Graveyard”—Ending Scene. http://www.youtube.com/watch?v=7ZKG6ak5K38 Eerie, melancholy and yet hopeful. TBBB: As an artist, I am in love with the cover of The Restorer. It speaks to me about hope (angel), despair (weeping), other worlds (it’s a cemetery statue symbolic of the afterlife) and on a whole, is heartbreakingly beautiful. How did the design process for that go and did you have a precise vision for bringing in the cover-lovers? Amanda: Oh, thank you! I love it, too, but full credit goes to the Art Department. I created a mood board with images, themes and colors that spoke to me, but beyond that, I really had very little to do with it. TBBB: Amanda, your book is AMAZINGTASTIC! Thank you so much for stopping by, answering a few questions and writing such a beautiful, yet creepy work of fiction. I am definitely jonesing for the next installment! Amanda: Thank you. And, yay! Thanks to all my fellow readers and bloggers for stopping by! Be sure to check out The Restorer, now on sale online and at a bookstore near you. Also available: The Abandoned, an eBook exclusive prequel to The Restorer and free download at MIRA Publishing. Get it now! Great interview. I love Amanda and her book *so* much…it's literally my favourite book so far this year. I loved this book! Thanks for the interview. I can't wait for the next book in the Graveyard Queen series. Great interview! I've already bought this book and am ready to pick it up as soon as possible! I'll trust you and April on this one as well. 😉 Sounds really good! Great questions!!! 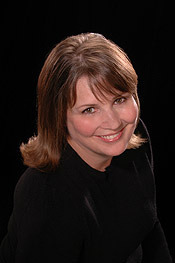 I really loved the music question – and how awesome that Amanda creates soundtracks to go along with her books! Yes, AMAZINGTASTIC for sure! I can't wait for the next one either!